Thank you for attending GSBS 2018! TRAVELLING ACROSS THE GLOBE FROM GERMANY TO AUSTRIA, MALAYSIA AND MEXICO, GERMANY AND FRANCE, THE GLOBAL SOCIAL BUSINESS SUMMIT 2018 WILL TAKE OVER THE CITY OF WOLFSBURG FROM NOVEMBER 6TH–9TH. 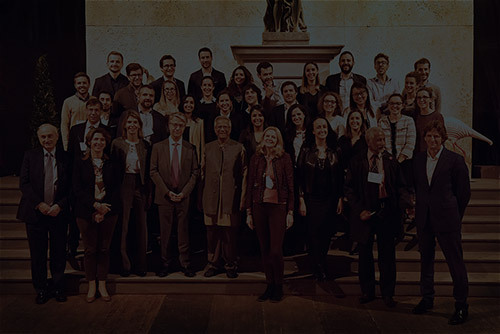 This edition represents an important step for the Social Business community we have fostered over the past years, as we are welcoming new participants with different backgrounds to increase our impact and expand our movement. 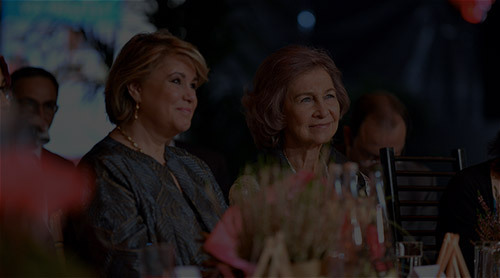 In this spirit, inclusiveness, impact and sustainability are the three commitments we are placing at the center of the organization of the event as well as the dedication to the Sustainable Development Goals (SDG‘s) of the United Nations (UN). Also, we are aiming at further developing concrete actions through our Hubs on plastic, sports, food and solidarity. 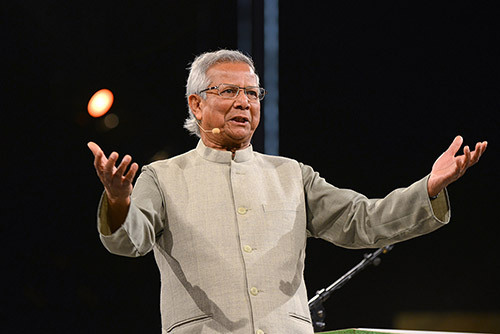 1The GSBS is the leading forum for Social Business worldwide bringing together Prof. Yunus, experts from Grameen as well as worldwide experts from private sectors, civil society, governments and academia to further advance the idea of Social Business. 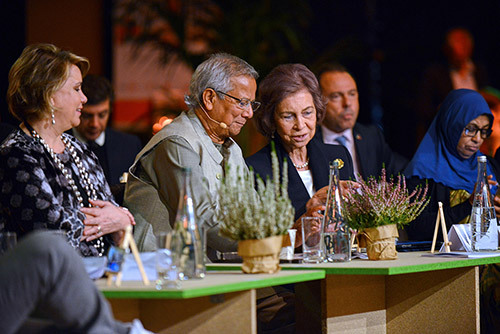 2The GSBS gathers inspirational speakers, opinion leaders, participants and exhibitors alike to underline their role as active key players in the global Social Business movement and increase public awareness for their initiatives. 3The GSBS provides a 360° experience over 2 days. It not only highlights the impact Social Business has but also gives orientation through the global Grameen organizations. This program is made to have your personal growth and experience at its core. 4The program is designed in a way to provide an environment and athmosphere to exchange knowledge and best practices, to connect with likeminded people and to spark new social business ideas and partnerships. 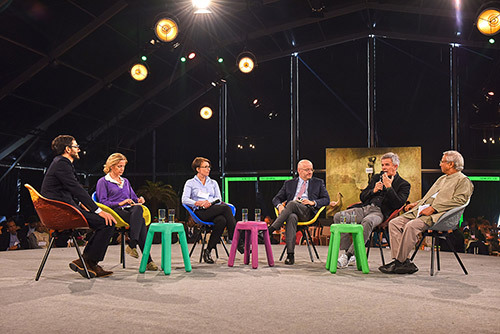 5Social Business helps actively bringing the SDGs into action. It not only aims to eradicate poverty but also has people, environment and sustainable developement at its core.